Imperial Cars is on a march. As many franchised dealer networks consolidate into fewer, larger locations, the modest, empty showrooms left behind are Imperial’s opportunity. Now at 12 outlets, with two more opening within weeks, it aims to have 20 operational in 2020 as it builds a national brand. This year, the company’s support functions – across accounts, administration, customer contact centre, HR, IT, marketing, purchasing and senior management – will move into a 16,500sq ft, two-storey open-plan office at the Botley Grange Business Park in Southampton. With parking for about 100 staff, meeting and training rooms, a gym and shower facilities, canteen and kitchen areas, Imperial House has undergone a £1 million refurbishment and another £750,000 fit-out of office equipment. 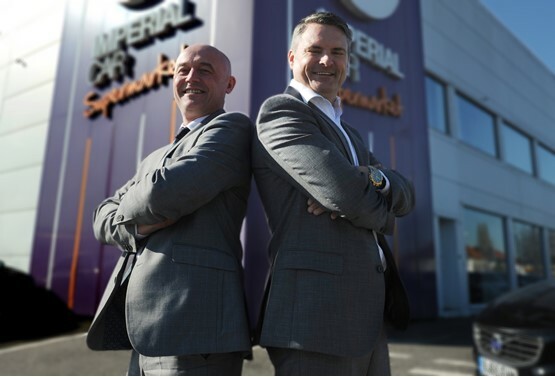 The property will allow the group to gather its teams together from four existing locations across the city under one roof for the first time, and Mike Bell, Imperial’s managing director, believes it signals that Imperial is firmly in its next stage of corporate development. The corporate headquarters is just one part of Imperial’s preparations for the future. It has already invested heavily in technology. Imperial developed its own sales and stock management system, ImperialNet, which is supported by its Pinewood Pinnacle DMS, and which keeps the management team abreast of critical daily performance measures, from stock preparation and showroom footfall to deal creation and profitability. Its preparation centres are equipped with 360-degree imaging systems that automatically feed into the stocking system. Imperial’s website and back office are readying to provide fully online sales, when customers demand it. A small in-house team of developers and content creators is responsible for keeping its website efficient and user-friendly. 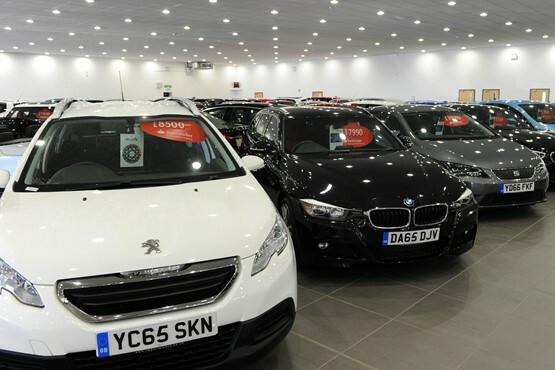 Operations director Neil Smith believes once consumers are on the site, looking at cars for sale, they should not need to go anywhere else for information, so all stock is accompanied by dozens of images, a finance calculator, condition reports, provenance checks, the V5 and MOT status, and service history. In the background is Pinnacle, but from the point of deciding what to purchase through to the point of invoicing a sale, everything is managed through Imperial’s own software. CRM, marketing, photography, preparation, logistics and deal creation are all trackable. Although Bell doesn’t believe most people are comfortable buying a used car online at the moment, a network of more than 20 sites would give Imperial Cars a ready-made delivery centre network for when that happens. Imperial targets showrooms vacated by franchised dealers. In the past 24 months, it has moved into outlets previously occupied by Audi, Honda and Land Rover, which closed and relocated due to corporate identity demands. Unlike car supermarkets’ ‘sheds’, Imperial’s sites need to hold 100 to 150 cars at most. The company is particularly keen to fill a large gap between its sites in Leicester and Edinburgh. It is in advanced negotiations on two leasehold properties along the north-east coast, and is searching for suitable sites in Yorkshire. Smith acknowledged that expansion comes with growing pains, and Imperial does have periods of consolidation, when the focus is on bringing new sites up to a consistent, optimum performance rather than launching in new locations. He said experience has shown the group that new sites do well for the first couple of months, but there is often then a dip before performance rises again at six or eight months. Smith said the structure of the company means dips at sites will not cripple the business, whereas a 500-1,000 car supermarket would quickly feel the pressure. Across the group, monthly sales volume is 1,200 to 1,500 units. 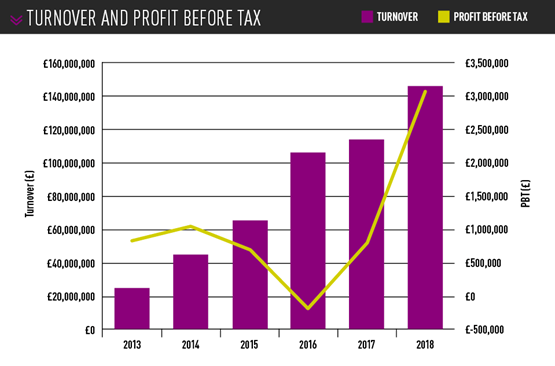 Turnover in the 2018/19 financial year is expected to be £220m. 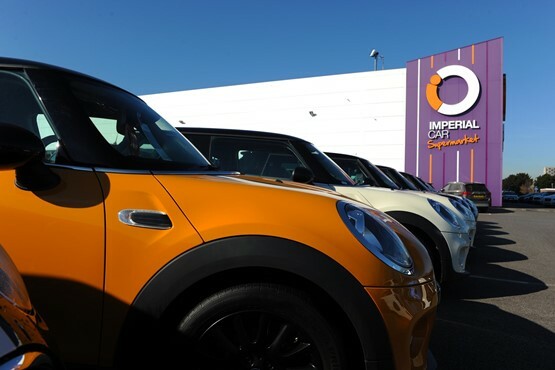 After previous major ID50 used car retailers CarShop and The Car People were acquired in recent years, some industry observers had suggested Imperial’s rapid expansion was a sign it was building the business up until it was ready to sell. But Bell said there is no exit strategy, adding that he and his fellow shareholders are enjoying building the business and can reap the rewards while remaining in control, rather than answering to a parent group. “Buyers will make changes,” he said. 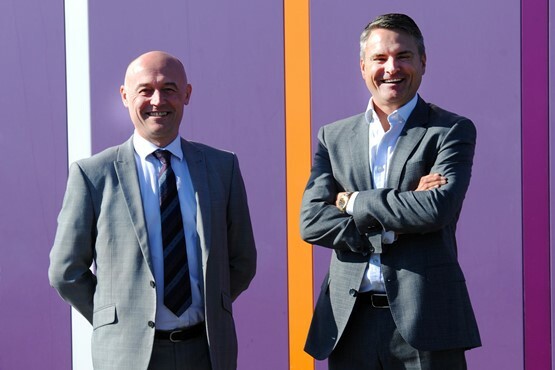 Expansion is being done at relatively low cost, typically through leasehold properties, and funded from cash reserves, with operations funded through multi-million-pound stocking lines. Bell said the group “can be entrepreneurial” about sites. The decision comes down to the overheads of a site and the potential returns – the desire is a minimum return-on-sales figure of 2%, but he believes some outlets can achieve double that. Bell has four shipping containers full of furniture and signage bought in bulk from the Far East ready. New showrooms can be operational between two and four weeks after signing the lease and receiving the keys. Management comes from existing staff, and new recruits are sought locally. Imperial has softened the showroom experience in recent years. There is no pressured sell, but customers will be spoken to within a few minutes of coming on site. They are asked a maximum of three questions in the ‘meet and greet’. Firstly, “Are you appointed?”. If not, then “Are you here to see a particular vehicle?”, because some people will have found the car they want on the website, but don’t want to inform the dealership they’re coming. And, if not, then “Is there a particular brand or model you’re looking for”. The sales executive will then briefly explain the quality and preparation of Imperial’s cars and leave the customer alone for 10 minutes or so to browse. Smith said it’s about being attentive, but not pressuring. Imperial uses JudgeService CSI surveys plus video and phone mystery shops to monitor the customer experience. Almost half of sales executives’ remuneration is based on their CSI performance, to keep the onus on giving a great experience. Issues are tackled in one-to-one performance reviews for all sales staff, handover specialists and site managers. Sales people are shown their video mystery shops, and asked to critique themselves. About 90% of Imperial’s marketing is done online. Armchair Marketing manages its search and social marketing. In addition, Imperial sponsors organisations close to its dealerships: Northampton Town FC and Halesowen Rugby Club, for example. Each branch’s sales manager gets a fund to sponsor local school teams, shows and events. Imperial has looked into a ‘deliver-to-the-door’ service in the past three years, but the management team is unconvinced there is enough demand yet. Imperial’s “hybrid solution”, said Smith, is ‘Click, Call, Collect’. Online or over the phone, the business will pre-approve the customer for finance, and guarantee their part-exchange value based on the customer’s description. The customer then makes an appointment to come in, have the part-exchange inspected, test-drive their chosen car and sign the documents. They’ll typically drive away within an hour. That compares with about three to four hours for a normal showroom experience. Smith said 8% to 9% of Imperial’s monthly custom is through Click, Call, Collect. Of those customers, about 99% leave with a car. That compares with a 45% conversion rate for customers who visit the showroom for their full purchase process. On average, Imperial is investing at most £470 per unit in cosmetic and mechanical refurbishment. Cars at auction that will require more than that are rejected. Imperial’s buyers use an in-house tool, Buyer Assist, to identify which cars suit its stock profile. This tool takes auction catalogue feeds, enables buyers to filter available cars to the group’s requirements, price back from retail, and then at the auction they can examine the car, note any cosmetic damage and the tool calculates the repair costs and the profit margin desired so they can factor these in when bidding.